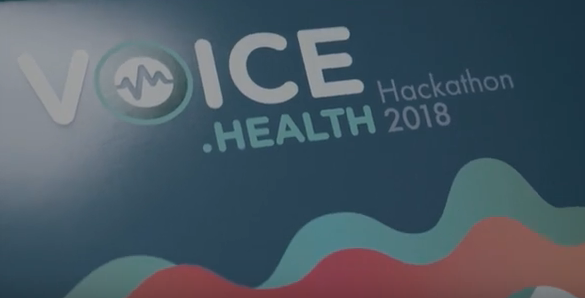 On Tuesday, October 16, 2018, dozens of digitally savvy individuals gathered at the Cambridge Innovation Center in Boston for the 2018 Voice Hackathon, an event offered in conjunction with the 2018 Voice.Health Summit hosted by Boston Children’s Hospital (BCH). Kudos to Michael Docktor, MD, and Kate Donovan, PhD, MBA, MS, co-founders of BCH Hacking Pediatrics, for creating such an inspiring day, and also to Amazon Alexa for sponsoring the hackathon. 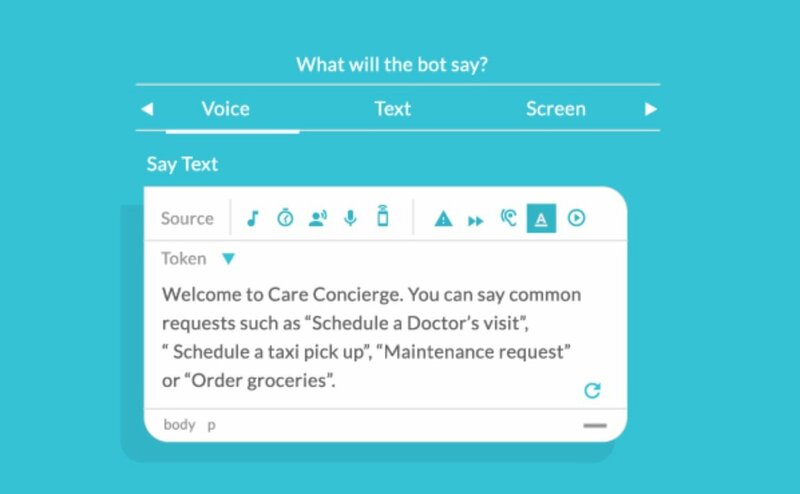 Orbita enthusiastically shared in the excitement of the day and in developing new voice applications for healthcare. 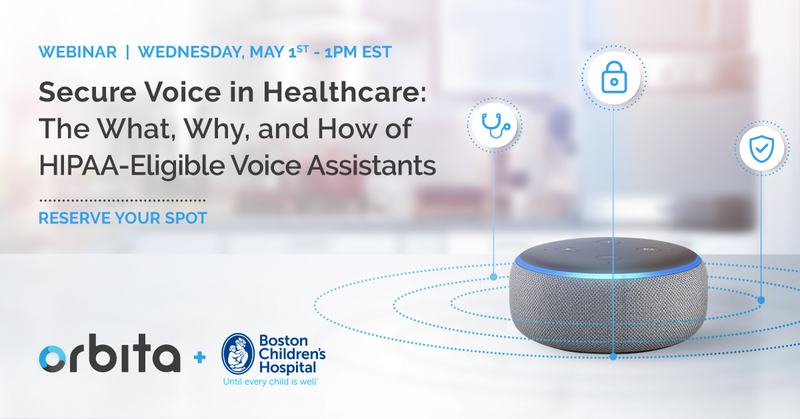 We extend thanks to all involved with the event including Carla Small, senior director of the Boston Children’s Innovation and Digital Health Accelerator (IDHA). 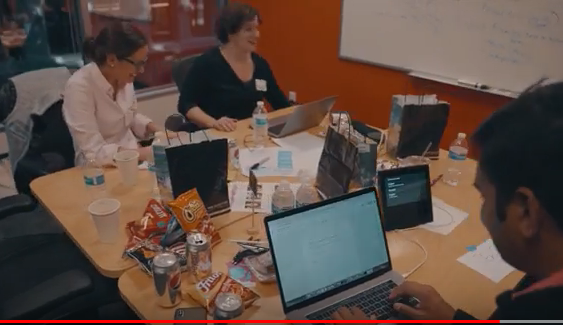 Check out her summary of the hackathon in this brief video. Prior to the event, experts from Hacking Pediatrics and the IDHA curated nearly 100 use cases from clinical and non-clinical professionals across the Boston Children’s ecosystem. Teams representing nine cases were chosen to participate in the hack. Each team was given just five hours to create both a skill and a video showcasing the skill. 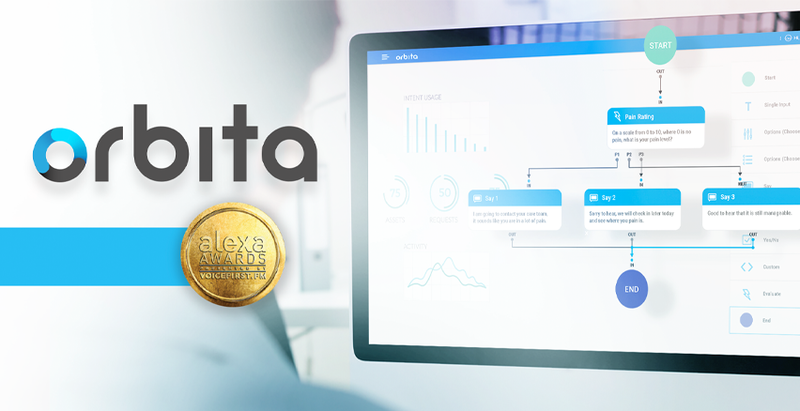 Three of the teams were aligned with Orbita developers. At the evening’s close, all nine videos were shown -- giving participants the opportunity to see the hard work of fellow hackers. Following a brief pause for judging, the results were announced. “We truly believe that everyone was a winner and we hope you came away with new ideas, friends and an inspiration to innovate,” said Docktor. 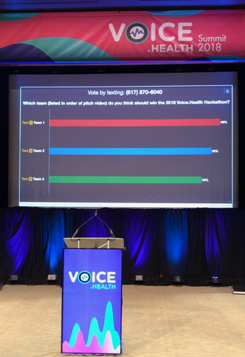 At the next day’s Voice.Health Summit, Docktor shared a hackathon overview, presented winning videos, and asked the audience to engage in live voting. Team 1 took the prize, with little margin between the three teams. In a follow-up email, Docktor shared, “incredibly and unbeknownst to us, people continued to vote after our real-time poll and Team 6 pulled ahead!” Both teams were rewarded with an Amazon Alexa gift set. Docktor also stated that the BCH innovation group will try to work with teams to continue developing these exciting concepts and to identify how early prototypes could potentially be brought to life. Serving on the esteemed panel of judges were BCH’s Chief Innovation Officer John Brownstein, Chief Medical Information Officer Marvin Harper and Chief Nursing Officer Laura Wood, as well as Amazon Alexa Solutions Architect Suhem Parack and Applause Solutions Architect Emerson Sklar. Once again, Orbita extends thanks to all involved with the hackathon including Amazon Alexa who sponsored the event and also to Sarah Lindenauer, Lizzie Kidder and Leila Amerling for their roles making the event such a success. This is an excellent example of innovators coming together to create an exciting future for transformation in health care.